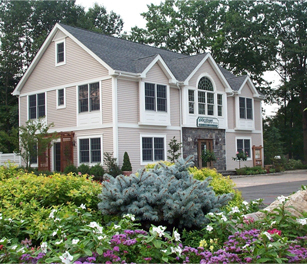 If you are a Bergen County homeowner looking to enhance your landscaping, a water feature can be a unique focal point that will distinguish your property from the others in your neighborhood. Water features are a popular design element in northern New Jersey landscapes, and commonly take the form of fountains, Koi ponds, and waterfalls. While water features can be quite beautiful, they require a great deal of maintenance and are accompanied by significant liability, especially when it comes to waterfalls and ponds. Koi ponds, for example, require you to protect the fish from predatory animals, maintain a proper aeration and chemical balance, and clean off leaves and algae. For families with small children or animals, open water ponds also create a potential safety hazard, especially if the location of the waterfall is in an area that is not fenced or in the front yard and is accessible by neighborhood children. So if the traditional open-water pond isn’t for you but you’d still like a water feature on your property—go pondless! Pondless waterfalls provide the relaxing, nautical benefits of other water features without the upkeep and constant worry. For these water features, a basin filled with river stone is constructed at the bottom of a natural stone waterfall. Water flowing from the waterfall is absorbed into the stones and is eventually cycled back through the waterfall. The advantages of a traditional pond and waterfall, such as natural beauty and a relaxing atmosphere, become yours without the additional costs and labors. 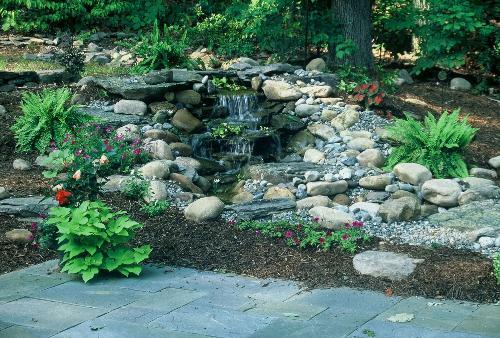 Maintaining a pondless waterfall is straightforward: simply make sure the basin is filled with enough water, which can be done automatically with an irrigation system, and remove the pump in the winter months to prevent damage from freezing. 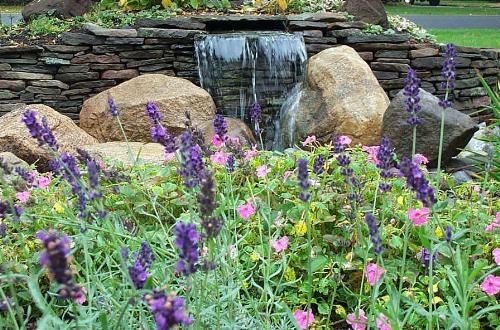 Pondless waterfalls as they can be as large or as small as needed and can incorporate one or more waterfalls, landscape lighting, and even aquatic plants! Enjoy the beauty and elegance of a water feature on your property by incorporating a pondless waterfall into your landscape design this season! About the Blogger: Michael Conti's passion for solving complex design challenges artistically and logically drives him to reach the highest level of success in the industry. His comprehensive knowledge of all landscape design types range from the intricate city gardens to expansive estate planning. 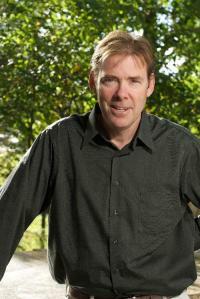 Michael's experience with all types of plants and landscape materials distinguishes his landscape designs. In his free time, Michael enjoys traveling and spending time outdoors with his wife and daughter. Michael can be reached at michael@jacobsenlandscape.com. Its nice post and conceptions are genuinely incentivizing to have a pond. Pondpro2000 has made it very facile to have a pond in home so I will endeavor your conceptions.